Wanting to find a place to share the hope and promise of Christ’s resurrection? 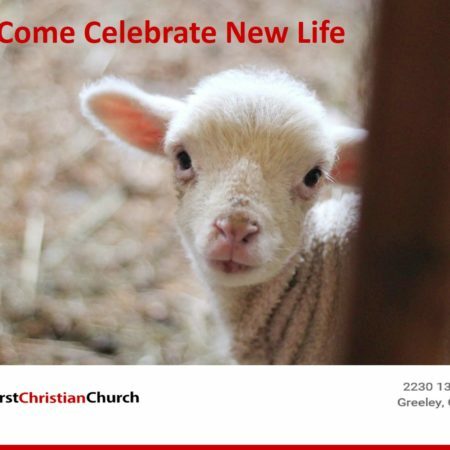 We invite you to join First Christian Church in Greeley (2230 13th Street) for our Easter week remembrance and celebration. 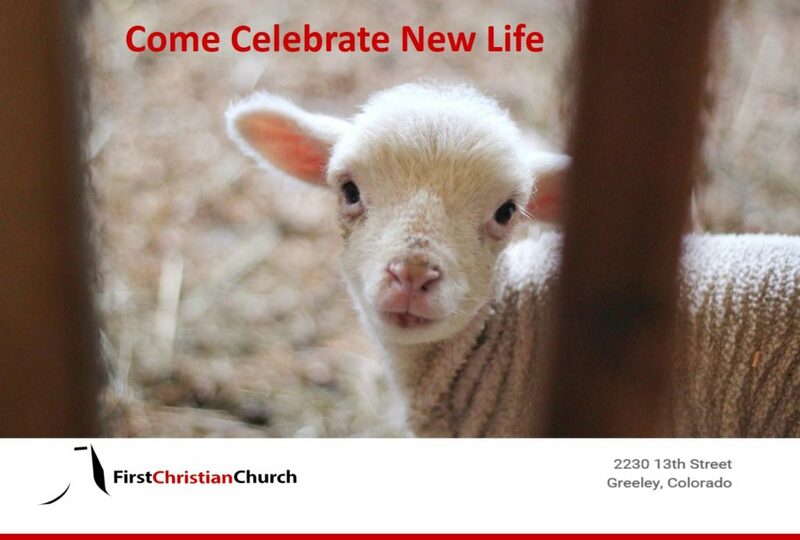 Come as you are and let’s celebrate together!